V.V.S. Laxman is a stylish right-hander from Hyderabad who will always be remembered for the fine knock of 167 he scored in the third Test against Australia at Sydney in January 2000. Since his debut he has been in and out of the Indian team but one of the main reasons for that is that he is unable to have a secure batting position. To be fair to Laxman, he is not a natural opening batsman and has had the job thrust upon him. Laxman's fine technique however makes him a safe bet to open the innings. Some people have labeled him as a Test batsmen who cannot bat aggressively hence have marked him unfit for the one dayers. This however is not true as his aggressive nature is visible even in the Test matches. Laxman may lack some of the glamour that is associated with some of his teammates but he prefers to be what he is - a quietly efficient and determined cricketer. He is a batsman for whom patience, timing and technique are of utmost importance. The term 'Hyderabadi stylist' is one that is not new to Indian cricket. First popularised by the late ML Jaisimha, an attacking batsman, the mantle was taken over for many years by Mohammed Azharuddin. 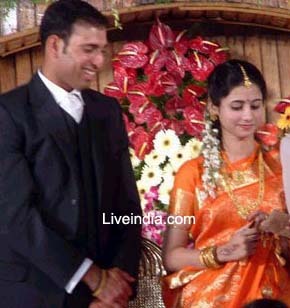 Today, VVS Laxman has honourably made the title his own. A spate of high scores in the 1999-2000 Ranji Trophy season, including ten centuries in as many first class matches, confirmed Laxman's pedigree and penchant for tall scores. In Test cricket however, apart from a sparkling 167 against Australia at Sydney in a losing cause, Laxman had done little to show that he was a world beater. All that changed dramatically when the Australians toured India in early 2001. Going into the series with a Test average of just under 28, Laxman was not a major cause of concern for the Aussies. In a rare display of attacking yet consistent batting, Laxman notched up 503 runs at an average of over 83. More than the sheer volume of runs scored, it was the manner in which he made his record breaking 281 at Kolkata that will remain etched in memory for years to come. It was a flawless innings under pressure that changed the complexion of a whole series, and signaled the emergence of a new batting hero. Laxman's 281 surpassed Sunil Gavaskar's record innings of 236 not out against West Indies at Madras in 1983 as the highest Test score by an Indian. Riding on the back of Laxman's efforts, India pulled off a sensational 2-1 win in a closely contested series. Spurred on by the success in Tests, Laxman was a changed man in the one-dayers, scoring his maiden ton in the fifth match against the Aussies at Goa. 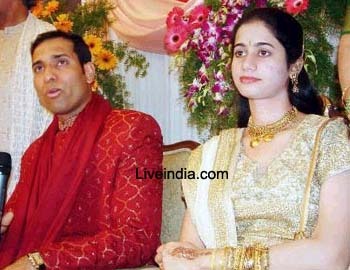 In short, the series against Australia changed Laxman's destiny as a cricketer. Rather, Laxman rewrote Indian cricket's destiny at the expense of the Australians.